Stress as we know it refers to the mental and physical response to demands made of either or both. These demands or stressors can be things like work, relationships, school, major life changes, or traumatic events or even more mundane things like exercise or even standing for long periods of time. Going to an area more related to our products and services lets look at standing for long periods. Physically, this can do some damage to your body. You will experience foot stress and back and knee problems. So if you are working in an industrial job which demands long standing hours or at home where you need to keep standing for a long time while cooking or baking in the kitchen or doing work on a hobby or something similar, the adverse impact on your body would be of similar nature in either circumstance. If you stand on a hard surface like ceramic tile or concrete or wood floor, even one hour of standing hour can be grueling. With so many types of anti-fatigue mats available there are a variety of choices you can make depending on your specific circumstance. Here are some tips to better equip you when it comes to buying an anti-fatigue mat. Who should buy an Anti-Fatigue Mat? Healthcare workers will benefit from using surgical anti-fatigue floor mats, just like workers in process industries. 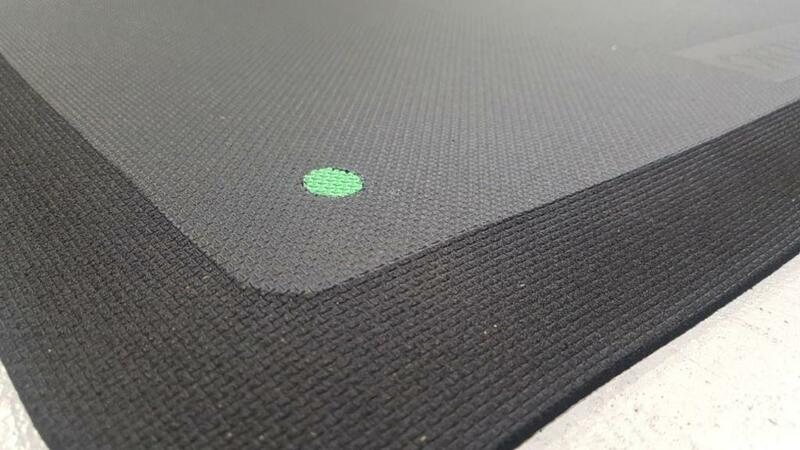 Those who have much to gain from using an anti-fatigue mat are those who have complaints of foot, knee or back pain, but still have to stand for long hours such as the industrial process worker, home chef, professional cook and other users in kitchen preparation and even health and aged care, etc. There are types of mats available depending on your activity level. Carpeted mats with a rubber backing for safety can be used if you are engaged in light duty work. They are economical and provide a little cushioning which is all you may need. Mats of rubber foam with vinyl for domestic use are available but these may lack anti-fatigue properties and just provide light cushioning. Rubber interlocking mats which can be picked up from hardware stores for workshops or play areas are a practical and economical choice for light duty. 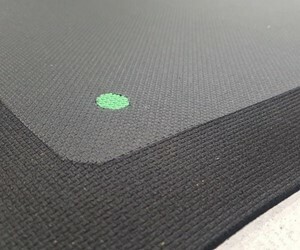 Gel-filled anti-fatigue mats are worth considering for light duty but they are usually pricier than other mats and not recommended for commercial use. Besides, it’s also a matter of taste as gel-filled mats may feel great for one person and not another. Anti-fatigue mats are not equal in terms of materials, features, and benefits. While some are light duty others have industrial-grade properties which should be used by those who spend hours standing on their feet at home or in their industrial workplace. Ideally, an industrial-grade anti-fatigue mat should be at least 3/8″ thick and constructed with special properties to alleviate foot stress. The top of the mat should be patterned for an easy wipe and should fit into the area you want covering. You can use a commercial door entry mat for other uses, including anti fatigue use. Whether your mat is for light or heavy duty purpose if the application is the kitchen or bath area, it must be washable. Kitchen mats can harbor food bacteria and bathroom mats are prone to germs and should be cleaned regularly. An anti-fatigue mat with a grid or highly rough surface is meant for industrial use where it can be hosed down. To keep such a mat clean in the kitchen would be an arduous task. When a mat’s top layer becomes cracked or peels, it becomes difficult to clean and you know it is a time the mat should be replaced. For domestic (home) use, you can choose an anti-fatigue kitchen mat or even a commercial entry mat with tapered edges that do not hinder the transition from floor to mat. This will prevent tripping. Balancing on a soft foam mat can also pose a falling hazard to those with stability issues such as elders.